Conquer the White Mountains and explore the terrain from all angles. Surrounded by remote wilderness, the western White Mountains is your perfect destination for wild summer adventures. Offering world-class hiking, climbing, and mountain biking, you’ll spend your time outside from sun up to sun down. Pack your gear bags and head to the mountains today! You’ll find world-class hiking just a short drive in either direction from the RiverWalk Resort. For the ultimate New Hampshire challenge, hike the 23-mile Presidential Transverse offering over 9,000-feet elevation gain of the course of 10 peaks, including the infamous Mount Washington. For the speedy, experienced hikers, the transverse can be done in one day, but many people choose to stay in one of the AMC huts and finish the hike over two days. Whatever you choose, you’ll earn serious bragging rights with your friends! 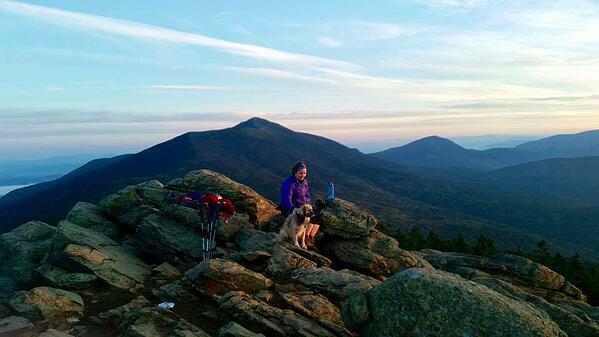 The White Mountains are home to 48 4,000+ foot peaks and countless other smaller peaks. On the other side of I-93, you’ll find the popular Franconia Ridge loop trail. The challenging 9-mile loop trail was named as one of the world’s best hiking trails by National Geographic. Transversing over Mount Lafayette, Mount Lincoln, and Little Haystack, the trail offers incredible panoramic views of the White Mountains and beyond. No matter what trail you hit, you’ll experience a wild time in the mountains! Are you ready to climb to new heights this summer? Try rock climbing! The White Mountains are blessed to some of the best rock climbing terrain in New England from the big walls in Crawford Notch to Franconia Notch and the Waterville Valley. North County Climbing Center in Lisbon is a full-service indoor rock climbing gym that offers both indoor and outdoor guiding services (pictured above) and lessons. For those with years of experience and their own equipment, Echo Crag in Franconia Notch is a popular crag climbing spot. 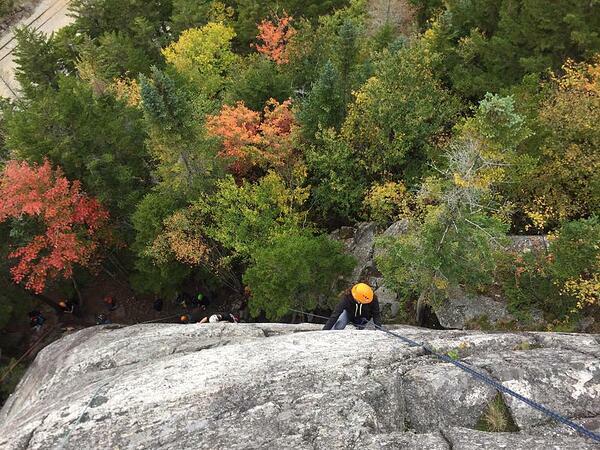 For big wall climbs, Cannon Cliff is the tallest and most respected cliff in New England. With numerous routes and pitches, Cannon Cliff is not for the faint of heart. Bring your summer sightseeing to new levels! 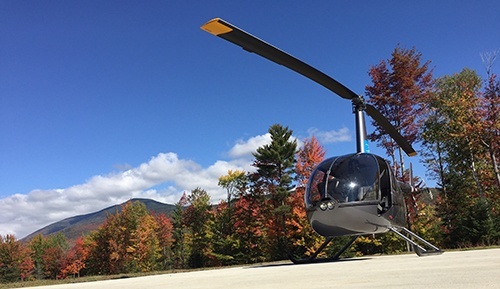 For the ultimate birdseye view of the White Mountains, take a helicopter tour with White Mountains Helicopter that will take your breath away. White Mountains Helicopter offers a variety of helicopter tours year-round ranging from 15 minutes to 45 minutes through the Notch. Be one of the few to see the White Mountains from above. It’s truly a once-in-a-lifetime experience! 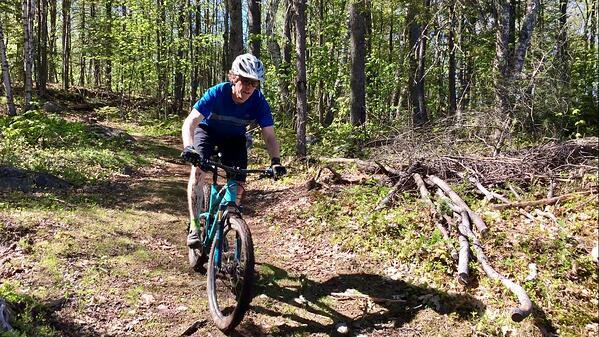 The western White Mountains and the North Country is home to incredible mountain biking. Loon Mountain is building a new mountain bike park this summer, but while the trails are still being built, you can hit the single-track trails at PRKR Mountain (pictured above) in Littleton or the beginner-friendly Ammonoosuc Rail Trail. Pack the bikes in the car and drive over the Kanc to Highland Mountain Bike Park where you’ll find miles of beginner and immediate single-track and downhill trails. On your way back to Lincoln, stop at Bretton Woods for lift-access downhill trails and cross-country trails. With hundreds of miles of bike trails, you’ll have plenty of opportunities to find your new favorite trail this summer.